Wallpaper Removal is often a messy, frustrating task. What starts as a seemingly straightforward DIY Saturday project can quickly become a sticky mess. Let Menjivar's Painting remove your wall paper and your headaches! We've been in the painting industry for over 21 years, and can handle any wallpaper removal project. Simply call (781) 247-5075 for a free quote! 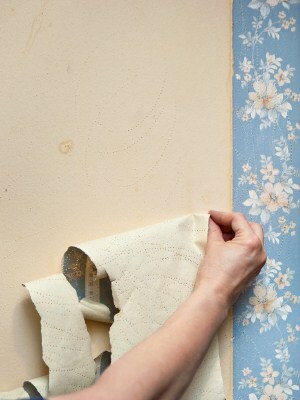 Menjivar's Painting will carefully remove the wall paper as well as any remaining adhesive. Glue that is not fully removed can seep through a fresh coat of paint, creating an uneven texture, or possible bleeding through. Menjivar's Painting's wallpaper removal pros will properly prepare all surfaces, filling in any imperfections before we prime and paint. After a solid coat of primer, Menjivar's Painting will make your walls look new again with a fresh coat of paint. Menjivar's Painting guarantees that you will be satisfied with your wallpaper removal. The job will be done to your specification and we go the extra mile to make sure you are happy you chose Menjivar's Painting. The wallpaper removal project isn't complete until you say it is! Call (781) 247-5075 to get started. Menjivar's Painting is a leading provider of Wallpaper Removal services. Our expert wallpaper removers have years of experience and can make your wallpapered walls bare in no time, saving you hours, if not days, of tedious labor. When you are tired of that old wallpaper and ready for something new, give us a call. We will remove that outdated wallpaper quickly and easily and clean up the mess too!